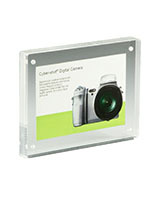 These clear magnet picture frames come with a set of two magnets to attaching the image to metal surfaces. 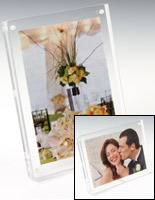 The photo holders feature an acrylic construction that is durable enough to withstand use in busy areas. 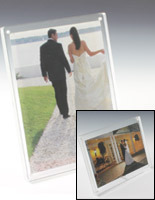 Clear magnet picture frames for refrigerators and cabinets, also called ready-made print displays, feature the transparent exterior to clearly exhibit the graphic. 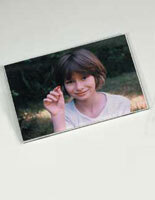 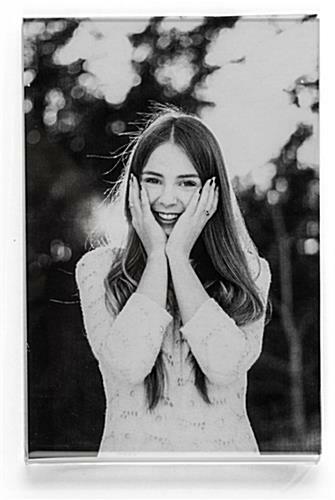 Photo holders are 4" x 6" to accommodate small photographs of loved ones. 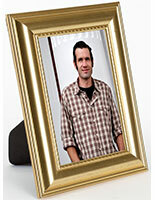 Frames are suitable for school picture day copies. 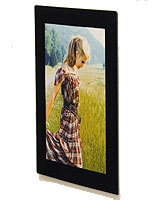 Ready-made print displays serve as a wonderful gift to loved ones. 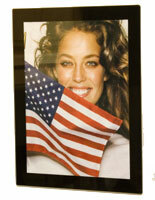 We are unable to accept orders for less than 15 units.